Home » Blog » blog » Spring Time is Maintenance Time! As soon as the weather warms up, Canadians can’t wait to get back outside. And although your primary instinct may be to spend the first few warm days outside enjoying the finer things in life, it’s really better spent getting your spring maintenance out of the way so you can truly enjoy the warm weather. One of the first things you should do is a thorough inspection of your roof and attic for any problems. Addressing any of the issues now will ensure that you can avoid having any minor issues turn into bigger headaches during the summer. If you’re not sure where to start, here’s what to look for during your spring maintenance inspection. Frigid winter temperatures can cause shingles to become very brittle. Under these conditions, older and cheaply manufactured shingles are at risk of cracking, chipping, and breaking off under pressure. The excess weight from the snow can also lead to problems that can trigger leaks and further damage. As soon as the weather improves, make sure to give your shingles a thorough inspection and have them replaced if any problems arise. When your gutters and downspouts fill up with ice, snow, and debris over the winter, you may not realize that there’s damage until the temperatures start to rise. Once you start having milder weather, you should grab a ladder and inspect the state of your gutters and downspouts – or have a professional do it for you. You’ll likely need to clean out any remaining debris, but you should also check for dents, holes, and loose areas that may need repair. 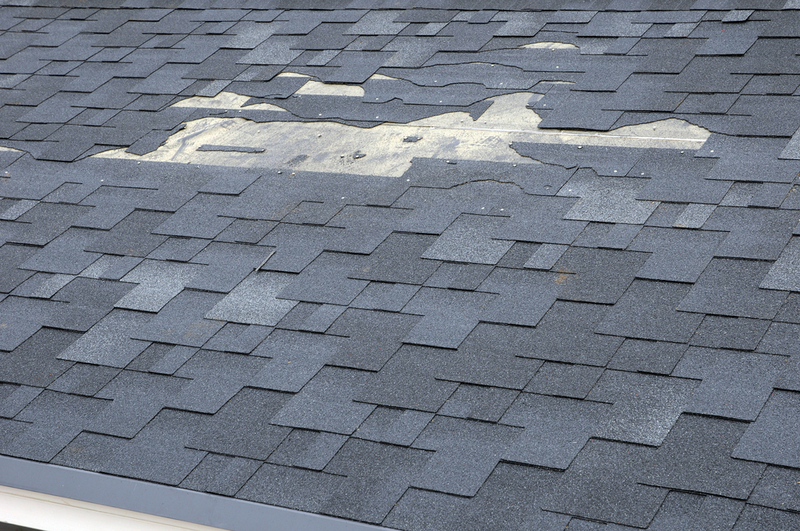 The flashings are designed to protect your chimney, vents, and skylights from water damage. Fierce winter weather conditions can cause damage to the flashings that can lead to a series of problems down the road. Check to ensure that the flashings are properly in place and undamaged to protect your home from water damage. Winter often brings heavy weather conditions and gusty winds. This is often the recipe for flying debris, hail and ice. Small impacts can lead to holes in the roof over time. So it’s always wise to take a close look for any puncture signs or holes before they get worse. Don’t forget to inspect your attic! If water happens to seep into your attic, you can end up with dangerous mould and mildew growing in your home. You might even find a few unwelcomed pests who gained access through a hole. So after you inspect the outside of your roof head up into your attic to look for any holes, mould, and also blocked vents that can impact your moisture levels. If you don’t know the first thing about your roof, it’s best to call the experts. At Roofmaster, our trained roofing professionals are ready to assist you with all your spring roof maintenance needs. Call us today for more details on how we can help!